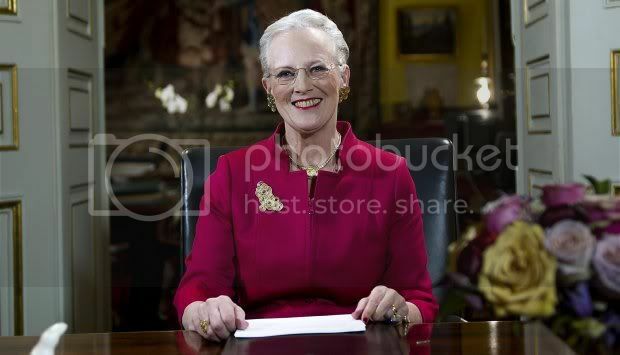 Queen Margrethe delivered her New Year's speech in her inimitable style this year, warning it is important for Danes to emerge from the economic crisis with dignity and good social values intact. The Queen expressed an eloquent idea by saying "We have achieved a freedom to shape our own life which previous generations have never experienced, but we should also remember that no one can fend for themselves alone. Therefore, we must also take care that the society which we know as a safe environment for personal development is also where we keep our eyes and ears and hearts open to our fellow man." In looking over the past year the Queen spoke warmly of the good wishes she received for her 70th birthday. She said although Danes may have things to be happy about individually, it has nevertheless been a year marked by the global economic crisis, which has also affected Denmark. While the consequences have been serious and difficult, Denmark is one of the countries which has suffered least, said the Queen, because of it's historical wealth and strong sense of community. She said community is even more important in difficult times and asks whether Danes have become more selfish and mistrustful of each other as a result of the crisis. She warned that while the crisis can be measured in economic terms, the real danger is in the assault on the community and its values. The Queen emphasised that while the modern state has taken over many tasks which were once those of small village communities long ago, it doesn't mean deserting individual and community responsibilities in the present. The Queen expressed her usual greetings to the Faroe Islands, Greenland and Danes living and working abroad, and spoke about the high price of the Danish effort in Afghanistan and the soldiers who have returned home badly hurt or psychologically damaged by their experiences. She had met some soldiers at University Hospital in Copenhagen during their rehabilitation and was impressed with their optimism and spirit to overcome their handicaps, which left her with enormous admiration for them. The Queen also mentioned that for her family and herself, 2010 was a good year with many pleasures. She said that now they look forward to the new year with great anticipation, not least for the growing family which is expected in January and says it warms and sustains them all to feel the warm interest which meets the Royal Family from all sides wherever they go. Read a machine translation here. B.T. - B.T. takes the angle of examining the tupilaks on the Queen's desk and provides a small photo gallery of said tupilaks over the years.